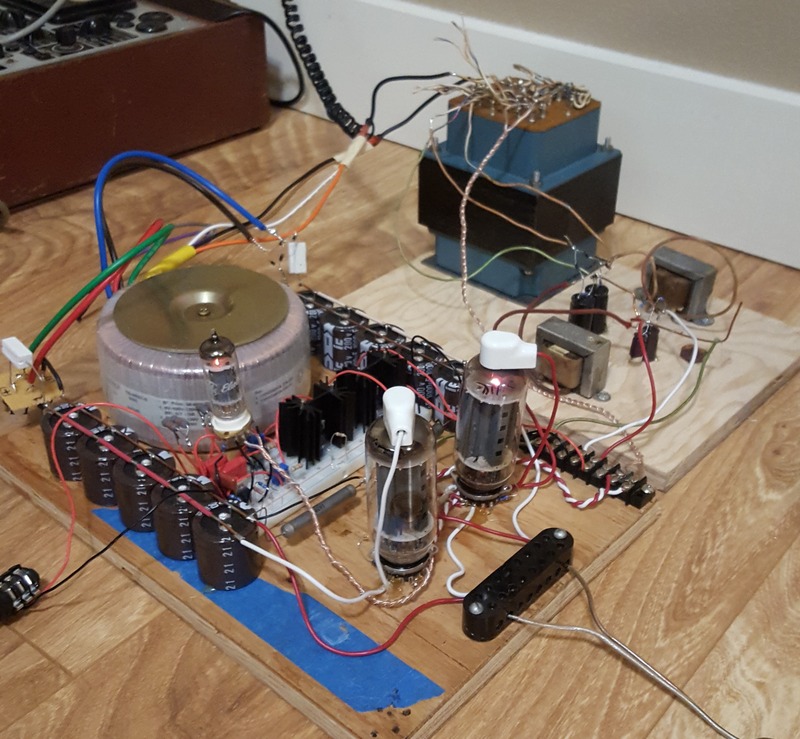 Vacuum tube audio amplifiers almost invariably use specialized output transformers to match the naturally high impedance of the tubes with the low impedance of modern speakers. 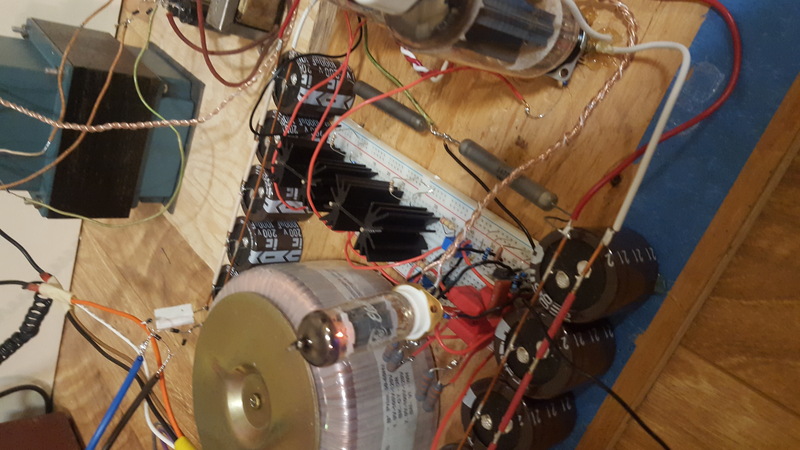 Without such devices, conventional topologies could never develop any significant power into a standard 4 to 16 Ohm speaker. 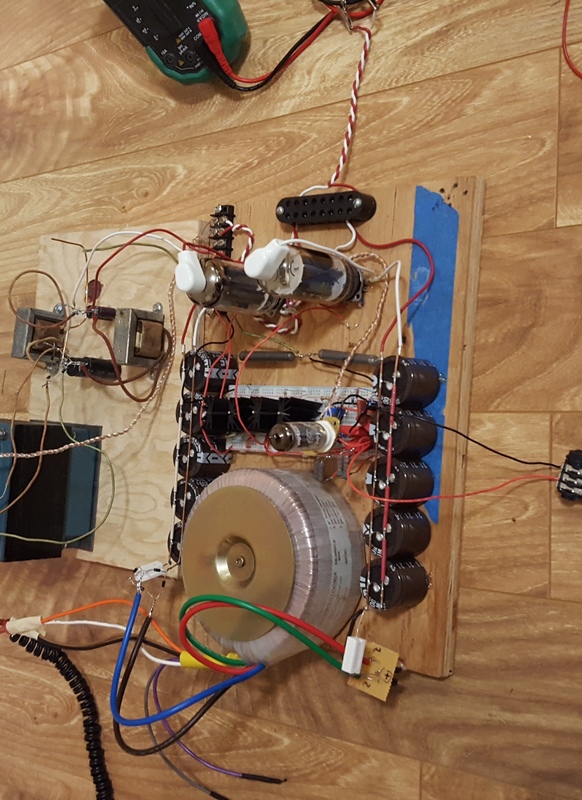 However, using a special push-pull topology with high perveance triodes known as the "Criclotron" amplifier we can eliminate the output transformer and connect the speaker directly to the tubes themselves. The benefit here is that there is no transformer in the circuit path, which allows lower distortion and avoids costly components. 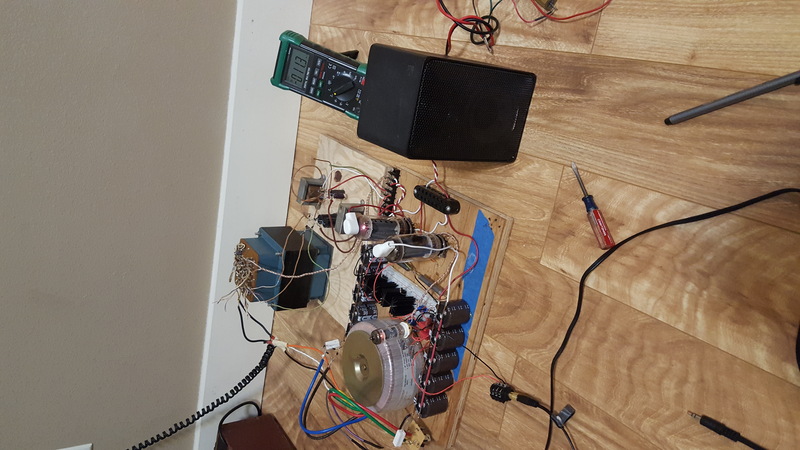 This prototype can deliver up to 10 Watts RMS audio power into 8 Ohms in class AB2. More output power can be obtained by adding aditional output tubes in parallel. 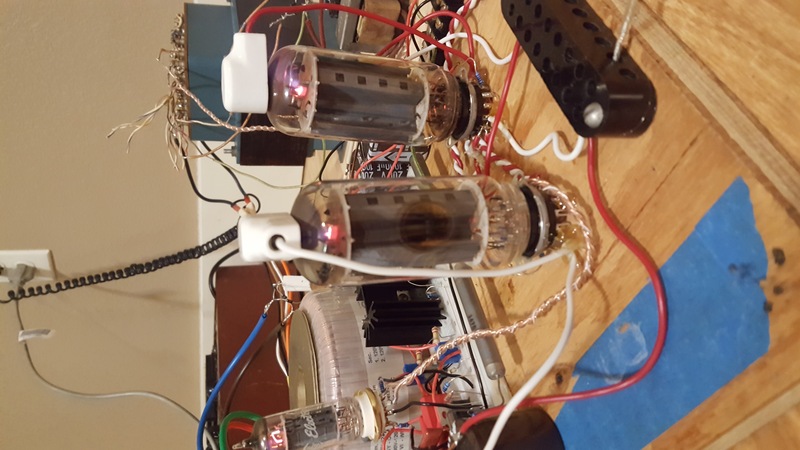 The Final design will use 10 21LG6A tubes in parallel to deliver 70 Watts RMS into an 8 Ohm speaker load.